As the sense of justice within Optimus Prime grows stronger, "Black Knight Optimus Prime", the reversed being that lives deep within him, also grows stronger. Optimus Prime must face this being, whenever he tries to have dialogue with his inner self. 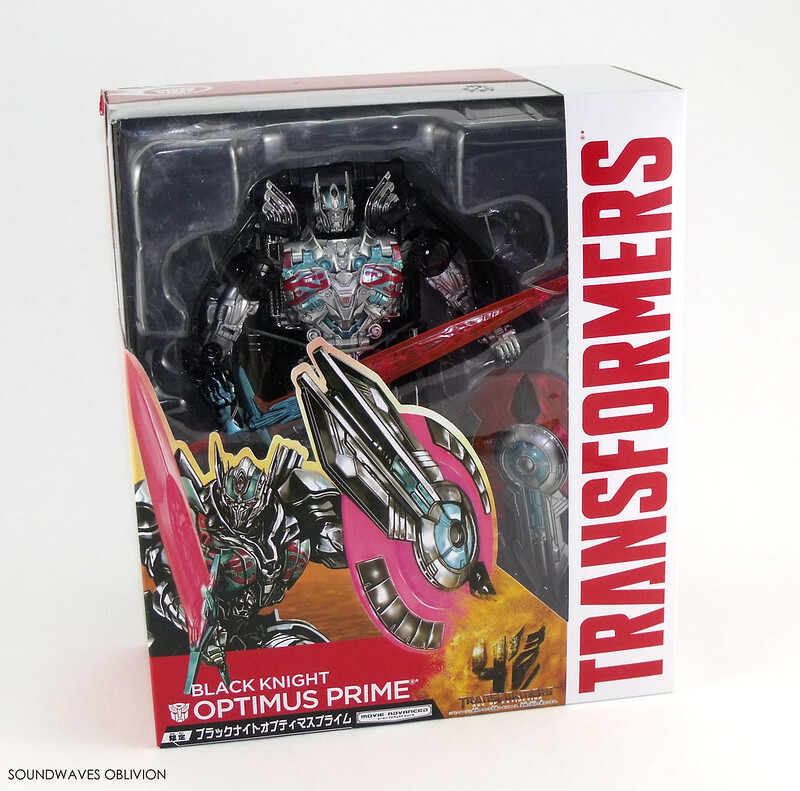 With the Nemesis Sword that can reverse time of substances with it's antimatter energy and the Sphere Shield, a transfer device, Black Knight Optimus Prime reveals itself as darkness in the world filled with light. 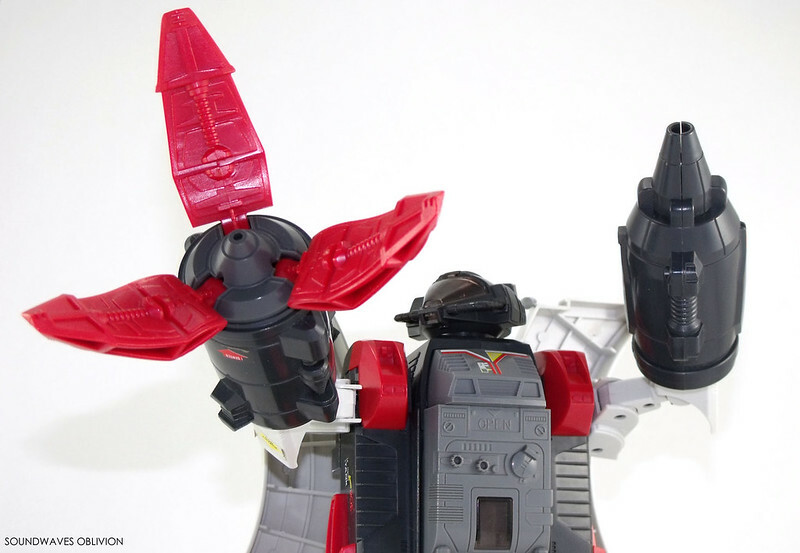 The Centaurus Wolf Megazord is one of the "villains" from the Power Rangers Mystic Force show which aired in 2006 based on the Japanese Super Sentai Series, Mahou Sentai Magiranger which aired between 2005 & 2006. In this series the Power Rangers became the Zords rather than pilot them. 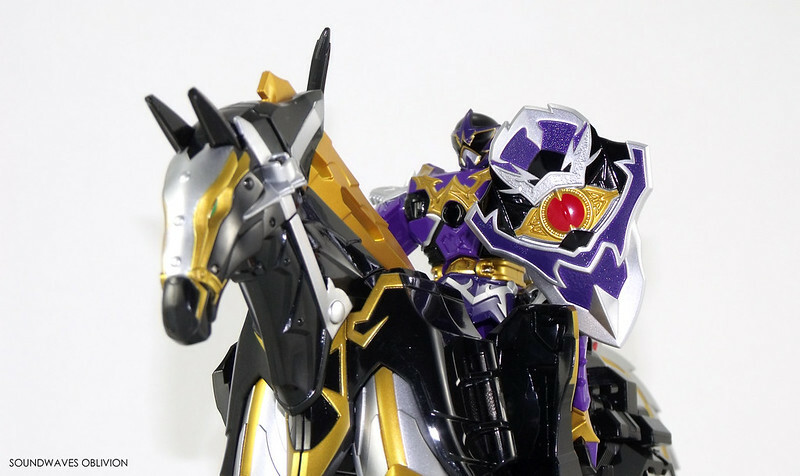 In the show, Koragg combines with the Catastros zord to become the Centaurus Wolf Megazord. Koragg's original name is Leanbow and it is later revealed that he is the Red Rangers father. 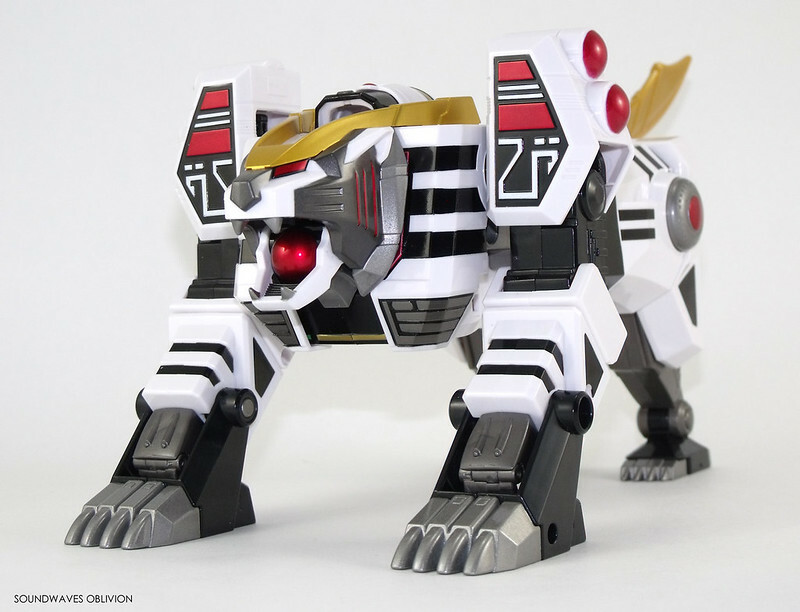 The Legacy Tigerzord follows on in the Power Rangers Legacy line up with the Megazord and Dragonzord. As with the others it is a brand new mould based on the original toy released in 1994 for the second series of the Mighty Morphin Power Rangers. Compared with the original it is slightly smaller with no electronics but sleeker and heavy with diecast metal parts, additionally its only accessory is the tail/sword so there aren't as many accessories to lose as there was with the original. This figure is also Zord Builder compatible, at least with the legs, so you can form a version of the Mega Tigerzord. 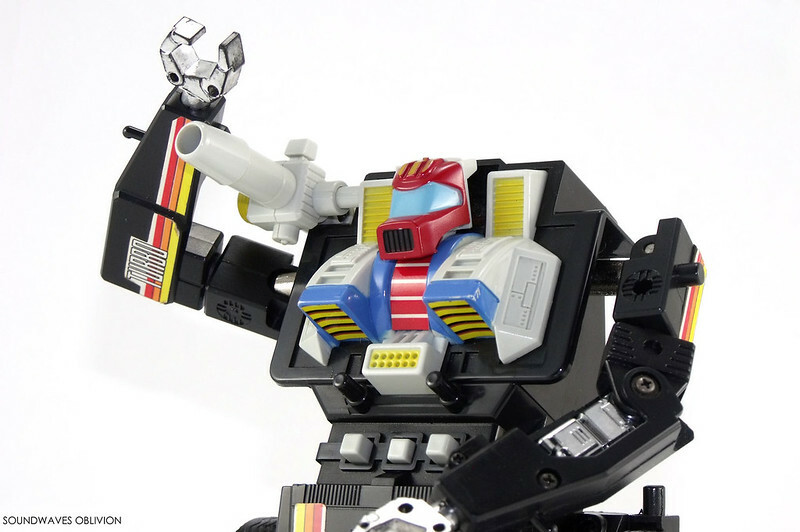 At the time of writing, a Legacy version of the Thunder Megazord is due to be released early 2016 and will no doubt be compatible with the Legacy Tigerzord. Don’t judge her strength on appearance alone, Arcee's presence is enough of a threat for her enemy targets. She is an angel amongst her companions, but a devil to her enemies. She vows to defeat opponent's no matter the cost. This belief, together with combat and psychological training have been her sustenance and with this she has turned into a hunter. 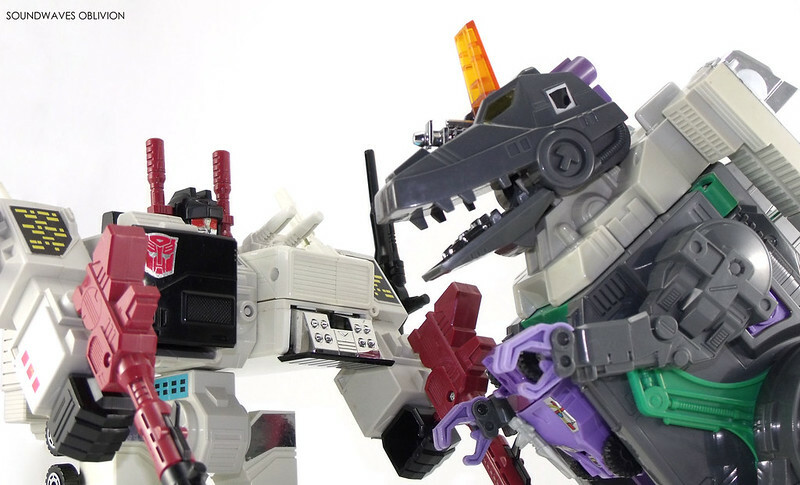 Underbite escaped with the rest of the Decepticon warriors. 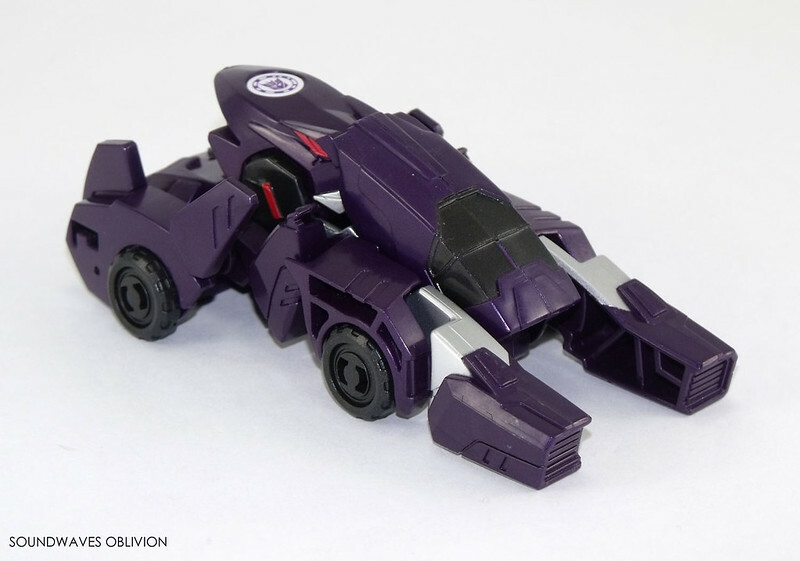 In vehicle mode uses his acceleration power to repel enemies and can instantaneously transform into beast mode allowing him to quickly move around. As Steeljaw the Decepticon Captain led the prison break, Underbite will follow his orders without question, pouncing on any target. 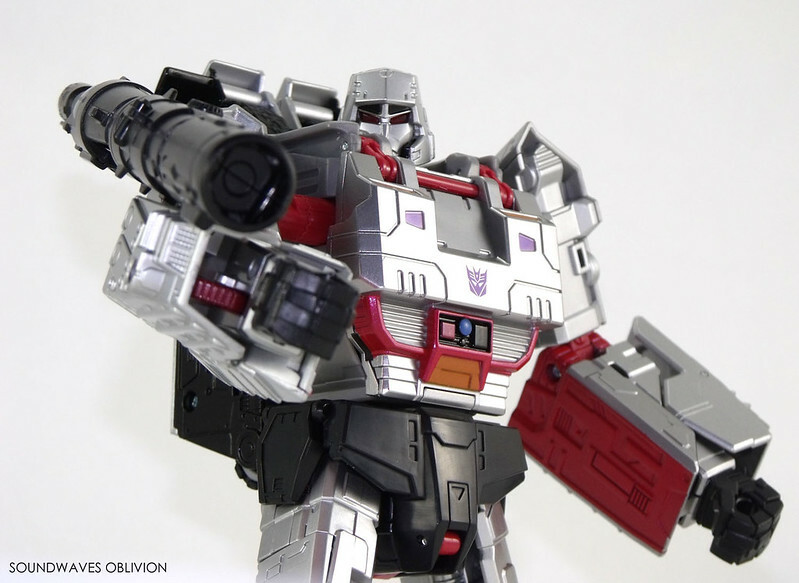 There was a time when the name of Megatron was honored by many across Cybertron. 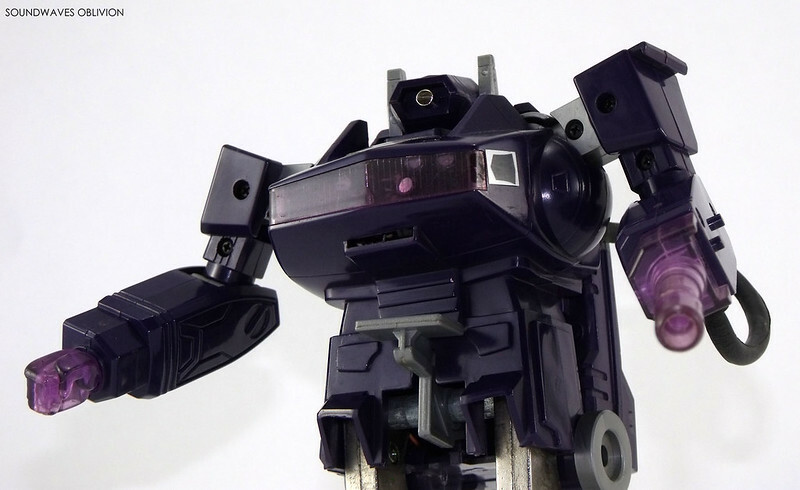 But power inevitably corrupts, and none are so powerful as mighty Megatron. Long ago, he forgot he was a hero, and became nothing more than a tyrant. The war he launched eventually drained his home planet of life. Not even the death of a world could satiate his hunger for conquest. Commander-in-Chief of the Galactic Peace Alliance Galactic Defence Force, protecting against evil and unkindness. The greatest swordsman in the universe, the Saber Blade is his main weapon which he uses for defence and attack. He rescued an Earth orphan, Jean who he has raised and cherished as if he was his own. He is the strongest of the Brainmasters and has the Brain of Courage within him. 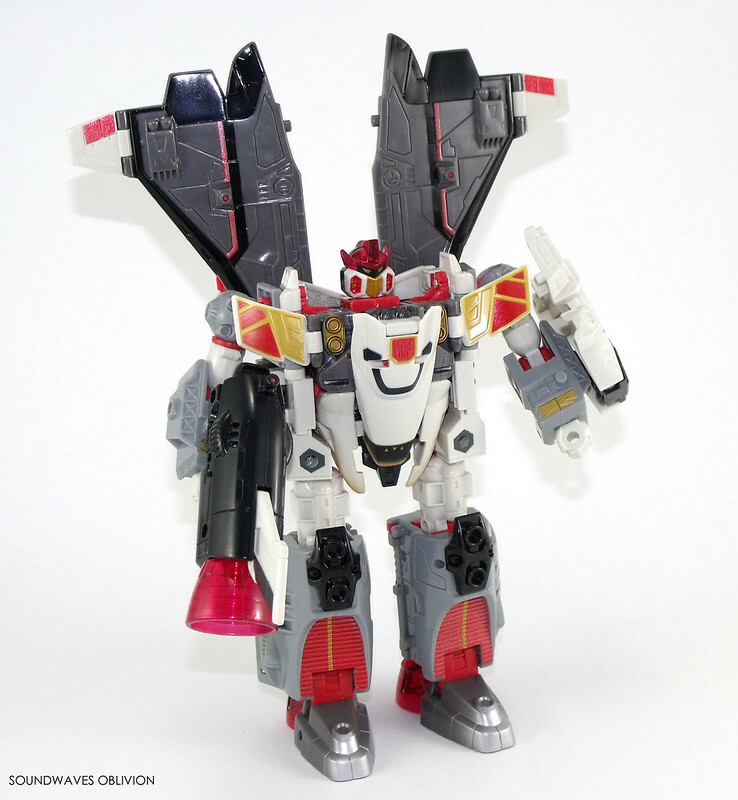 Jetfire adopted the form of Earth's most advanced and adventurous craft - the space shuttle. 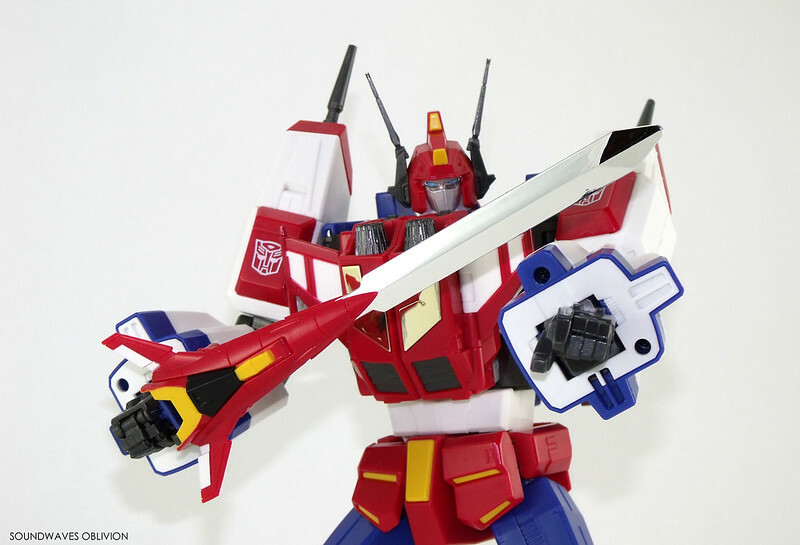 He is Optimus Prime's executive officer, second in command and has the honourable and rare task of being able to combine with him - redefining the term teamwork. 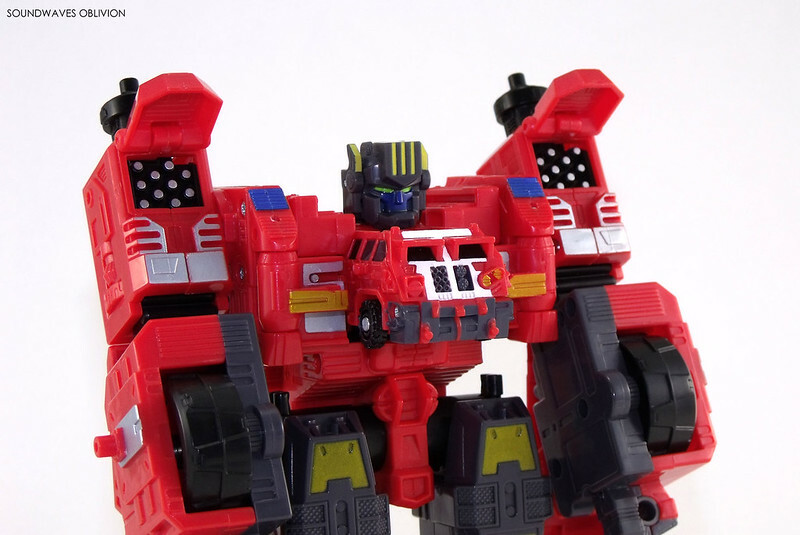 He exemplifies all of the special qualities found in Autobot commanders: courageous, tactically skilled, and a natural leader. Taking the time to know each Autobot, Jetfire understands their individual strengths and weaknesses - in battle, he knows exactly where each soldier will excel. While relaxed with the troops, he becomes all business when it's time for action. He is heroic in battle, caring not about size or number of enemies; with a take on all comers' mentality. Equally efficient and effective on the ground and in the air, he is air mobile and ground capable. It is his function to come to the aid of Convoy as his right hand man. The ultimate form is "Magna Jet Convoy," the combination of Convoy, Jet Fire and Ultra Magnus, installing himself on Convoy's shoulders as the weapon "Matrix Cannon" - a mass of firearms and the highest firepower out of all the Cybertrons. 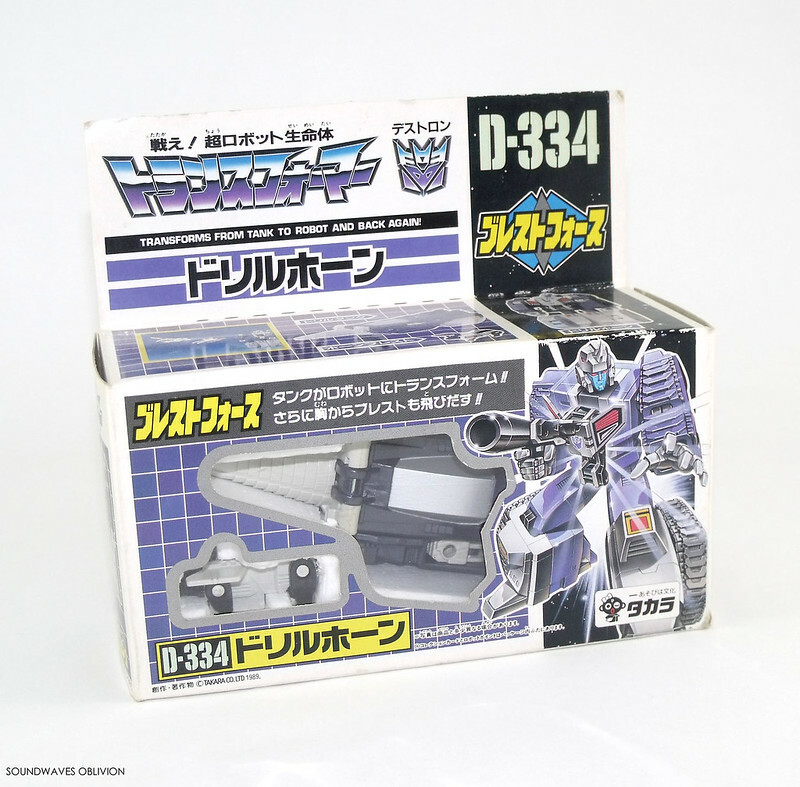 The above is the Japanese character card bio, as with many of the Unicron Battles figures, Overload did not come with a bio. After 4 years of Beast Wars Transformers and with Beast Machines introducing vehicle Transformers once again, the Transformers series was heading back to its roots. 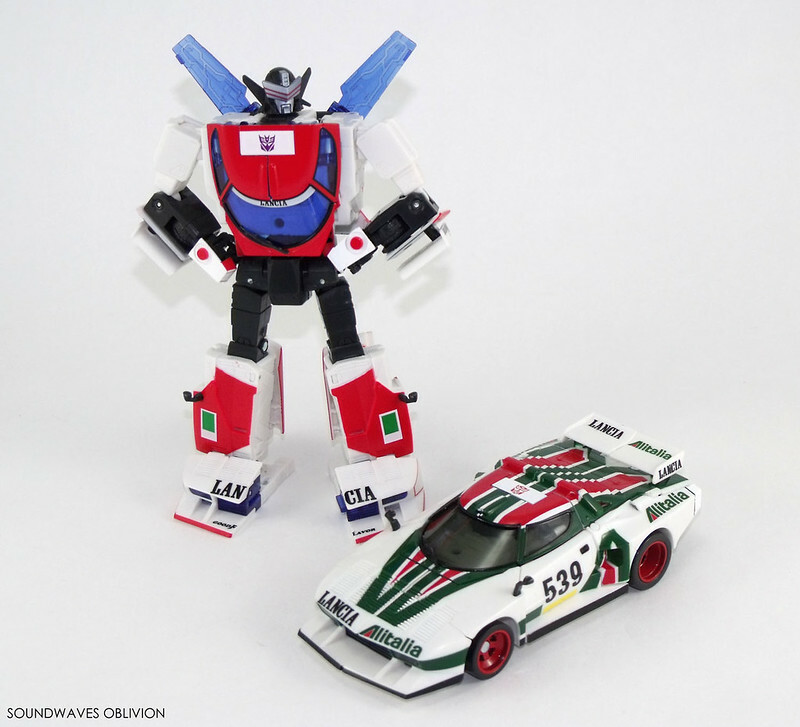 In Japan, Takara released Car Robots in 2000 along with the first of many reissues, Convoy / Optimus Prime. In my opinion this was one of the best series to be released so far. The figures had good articulation coupled with real world vehicle modes (the Autobots anyway). 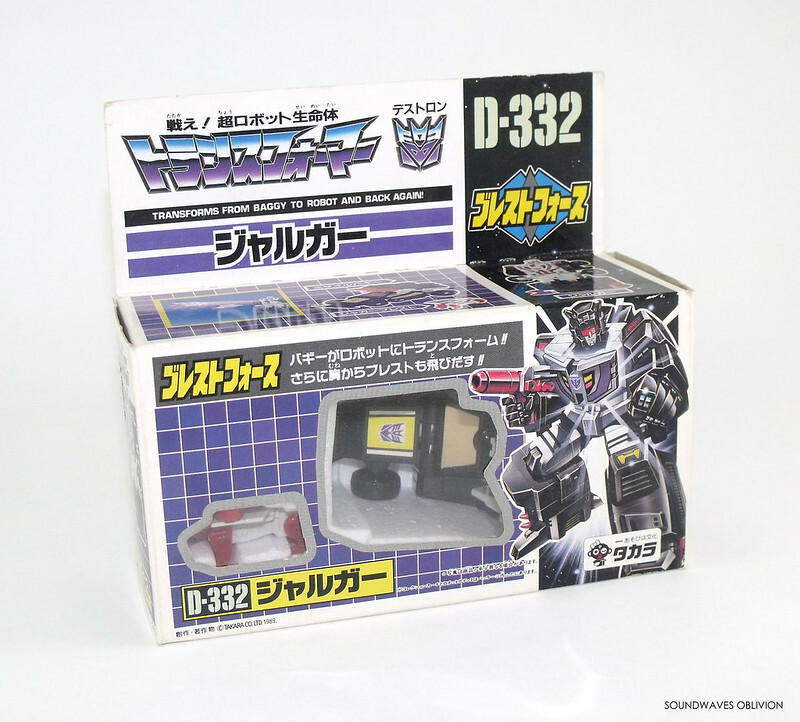 The following year this series was released by Hasbro called "Robots in Disguise". 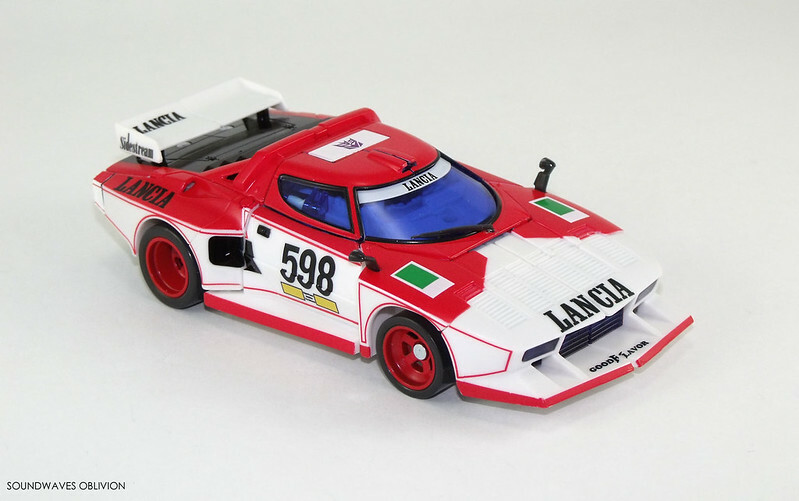 By 2002 the series had run its course and Takara had only been releasing reissues after the Car Robots series. The series to follow was Transformers Armada - a joint venture between Hasbro & Takara. 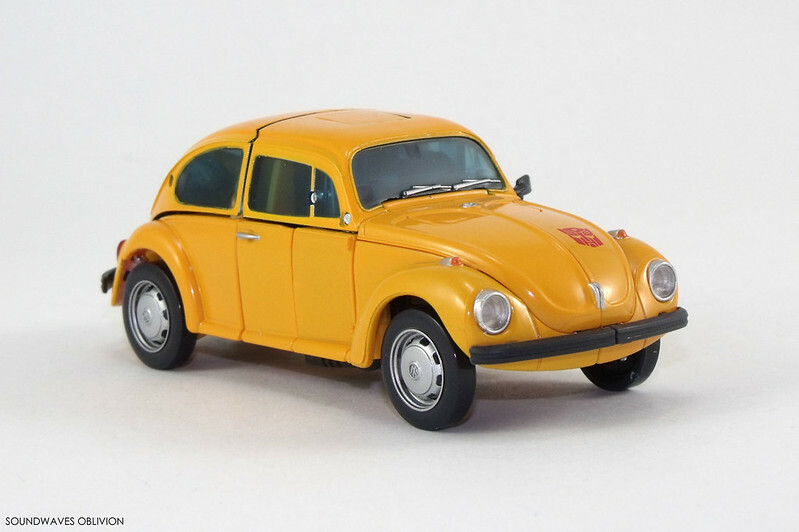 In theory this sounded good however what came out in my opinion was a step back from Car Robots / Robots in Disguise, though it finally gave the fans a Unicron figure. 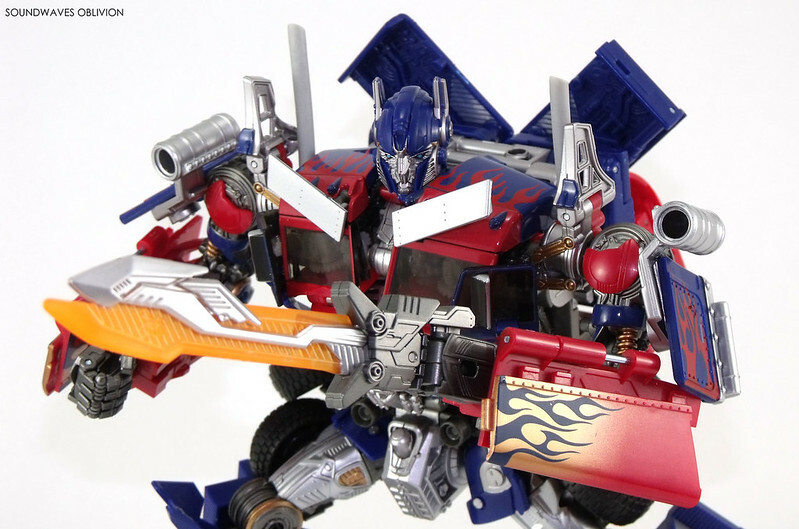 In April this year, Hasbro Asia released a second leader class Optimus Prime in their "Asian Premium Series" APS-01U Optimus Prime Ultimate Edition. 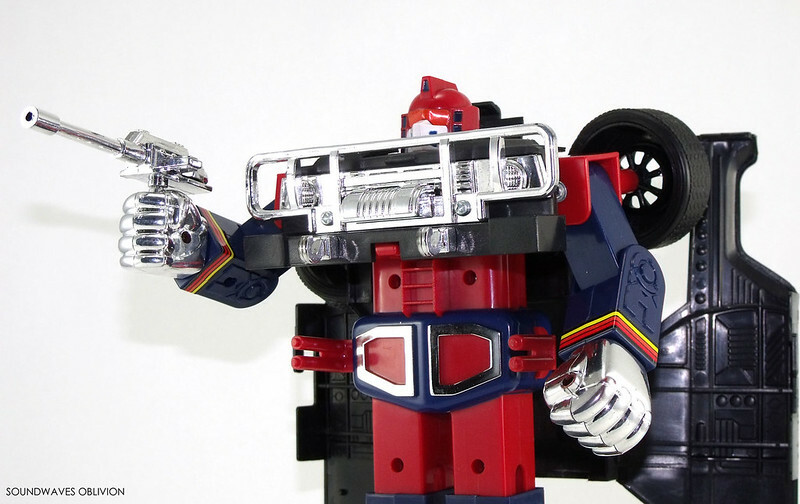 I wouldn't say it necessarily improves upon the previously released APS-01 Striker Optimus Prime; it is different enough with darker colours and it comes with all the accessories which have previously been available with this figure as well as a few new accessories and a big price tag. 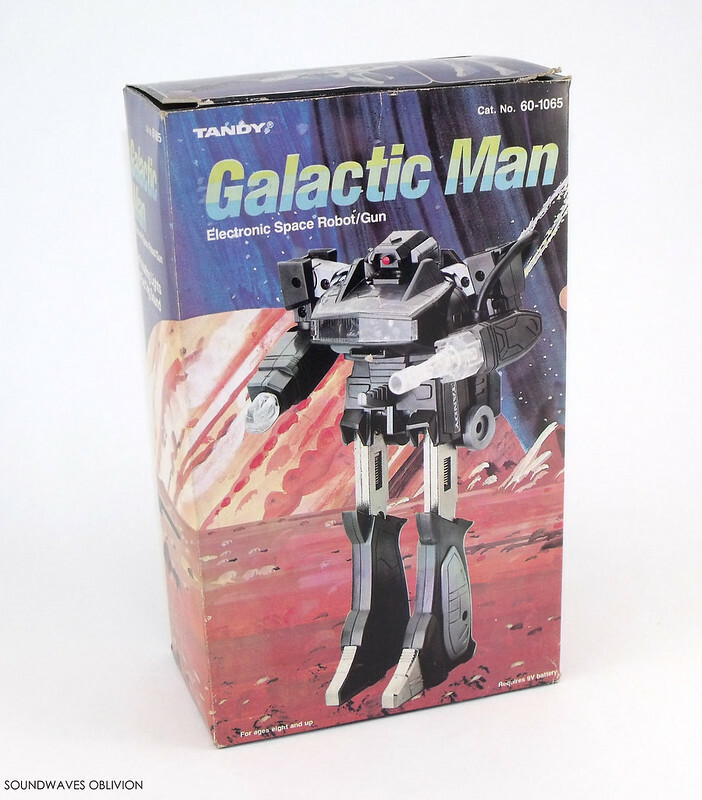 Galactic Man was released by Radio Shack (and Tandy in the UK) around 1985 was was priced around $14.99. 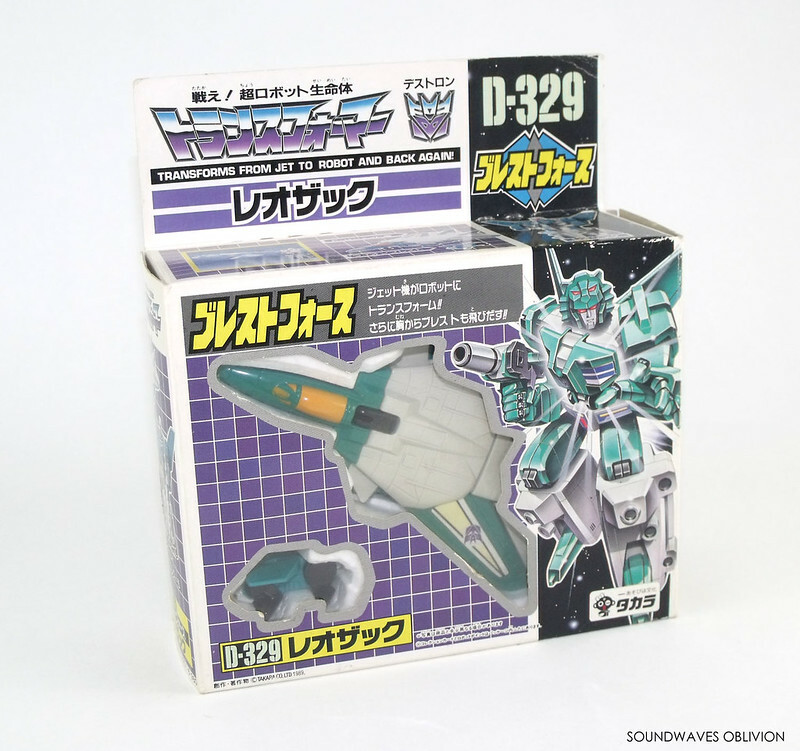 One time seen as a knock-off and nicknamed "Shackwave" it is actually an official ToyCo release. 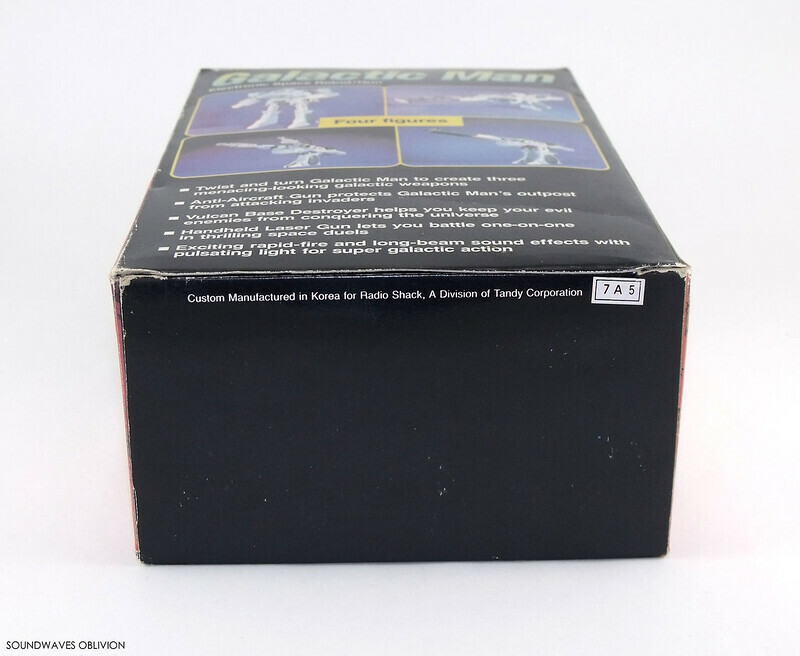 Despite this there is no mention of ToyCo on the box other than a mention that it was custom made for Radio Shack in Korea on the underside of the box. 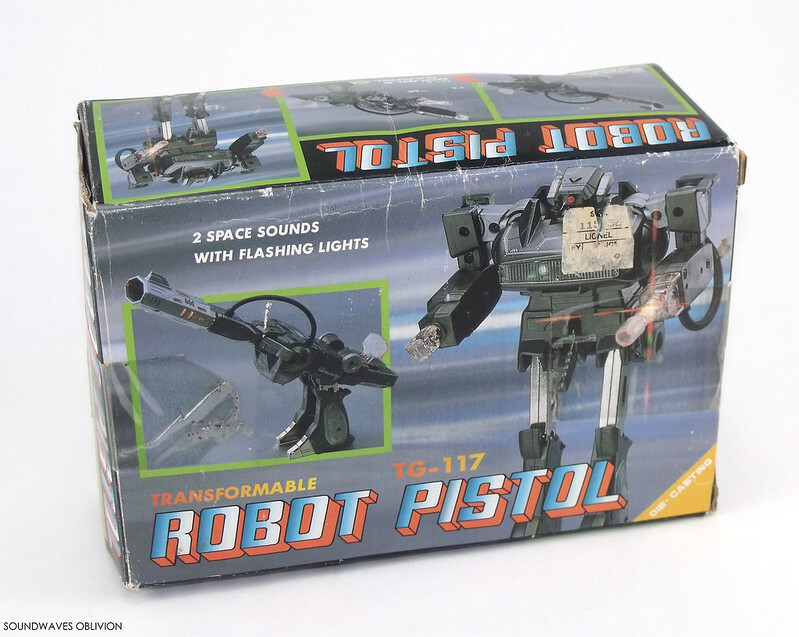 The "Robot Pistol" is one of many knock off versions of the Astro Magnum / Galactic Man released around 1985 onwards. As with many knock offs in the 1980's the build quality was good, not as good as the official versions but certainly better than those released today. Zetanoid is a typical Convertor - nasty and capable of adopting a host of different forms. One minute he can be an awesome warrior robot and the next a futuristic fighter-plane with many variations. He is always kitted out in immaculate battle-dress and is extremely arrogant, ready to take on any challenge. His mission is industrial espionage, spying on commercial alien enterprises across the galaxy secretly stealing their economical information and advanced technologies. He works for the interplanetary giant “Marlboor Dynamic” and it is from here that he carries out various espionage activities. Marlboor has long studied the special abilities of mechanical life forms; by changing the particles of Exhausts entire body they have given him a “quantize” ability allowing him to turn himself into living smoke which is impossible to capture. 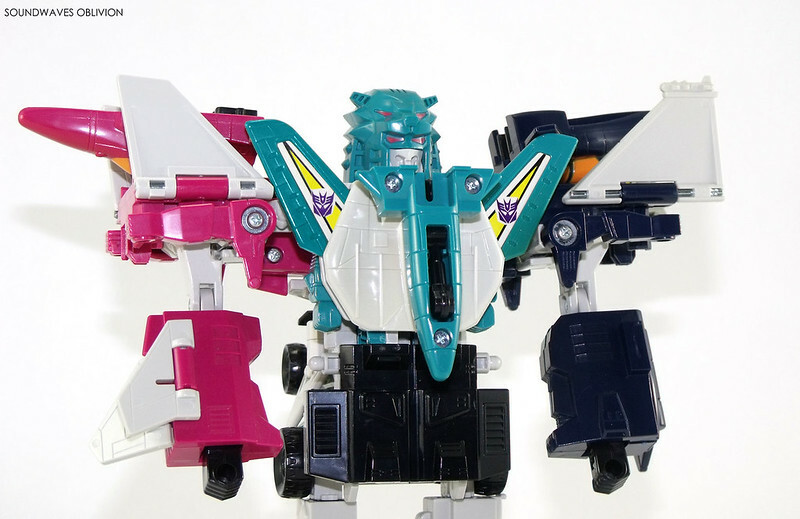 Abilities: Concentrating the Breast Power of all Breast Force warriors save Deszaras, the combat strength of his attacks surpasses even that of the Cybertron's Road Caesar! Final Attack: The "Battle Explosion" - Using this battle technique, he appears temporarily to self-destruct, but in fact he splits up to attack his enemy from above, below and all sides. Abilities: Has a symbol of evil, the "Rhino Breast," built in. Can push his way in any direction underground from the surface. His breast weapon fires an X-ray beam that works just as well underground. Final Attack: The "Magma Bomber" - Burrowing rapidly through the ground, he channels fiery magma to bodily strike the enemy. Thanks to the tough armour of which he's so proud, he remains unharmed. Abilities: Has a symbol of evil, the "Bison Breast," built in. He is a genius at destruction and killing. He bombards the enemy with powerful anti-aircraft fire. Final Attack: Using his "Thunder Burst Attack," he absorbs electricity through his chest, and uses his powerful anger to amplify the destructive energy, and shoots it at his enemy, frying their circuits to dust. Abilities: Has a symbol of evil, the "Jaguar Breast," built in. Even enemies who go to ground to escape Leozack and his fellow aerial forces don't stand a chance if caught by Jargua. Final Attack: The "Spiral Attack" - Cornering an enemy he has pursued to the verge of destruction, he fires off a volley of computerized missiles. These strike while circling in towards the prey's weak points, creating the attack on which he prides himself! Abilities: Has the symbol of evil, the "Bat Breast," built in. Using his breast symbol to its full potential, he has excellent spying abilities, moving quietly like a shadow behind the scenes. Final Attack: Uses the "Dead Eye Beam" - launches ultrasonic waves whilst flying behind the enemy at low altitudes evoking a terrifying fear in them. In doing so this blocks his enemies vision. Abilities: Has a symbol of evil (Brest) built in. He is proud of his speedy flight power which surpasses that of Leozack. Accurately aims at prey on the ground when he is high up in the sky. Final Attack: The "Blizzard Crow"; he freezes a mass of cold air into ice needles and fires them at the enemy making them look like a honeycomb. Abilities: Sub commander of the Destron forces, he has a symbol of evil built into him. Commanding Gaihawk and Hellbat, he attacks from the skies. Final Attack: The "Jet Attack" - Unleashing a hail of ammunition ground-ward while flying in at supersonic speed, he then leaves a laser-beam contrail in his wake. 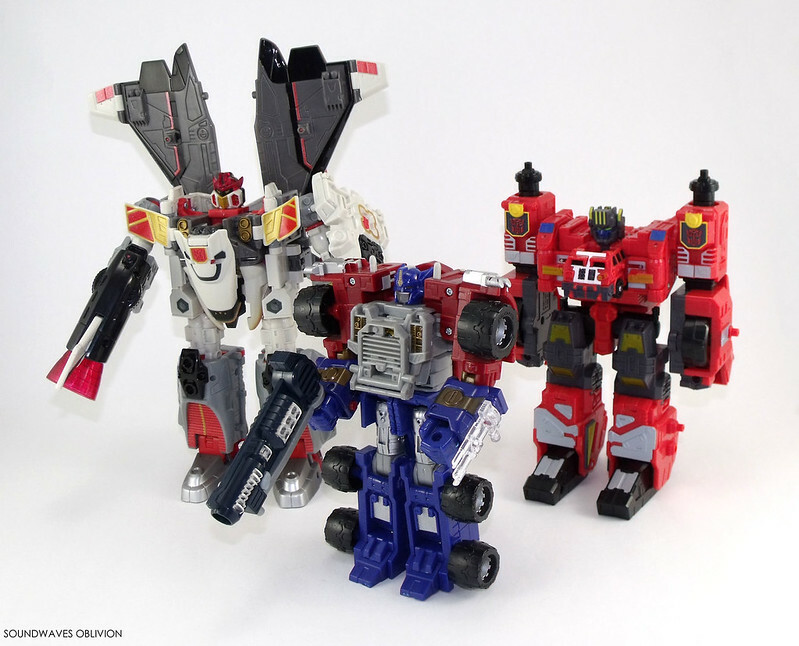 Sigmatron is one of Omegatron's many followers. He is one of two warriors (the other is Betatron) whose great trick is to be disguised as an ordinary earth jeep, but then change in to an evil fighter robot to attack his enemies. 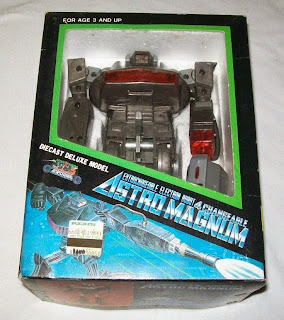 Following the release of Astro Magnum in 1983 and Shockwave in 1985 there was a spate of knock-off (KO) versions released making this figure one of the most copied. 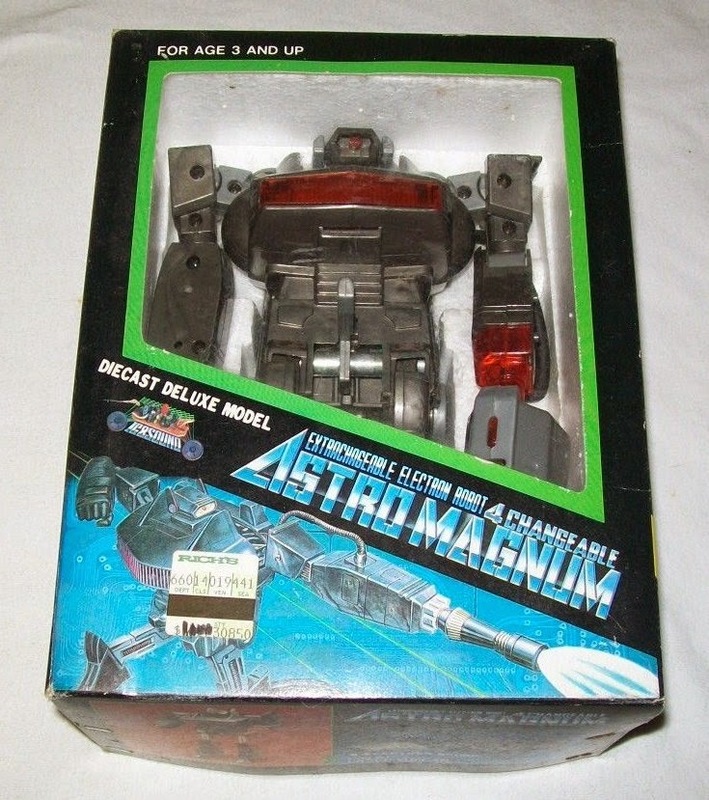 The majority are mainly based on the Astro Magnum mould and colours, many of which were high quality reproductions. 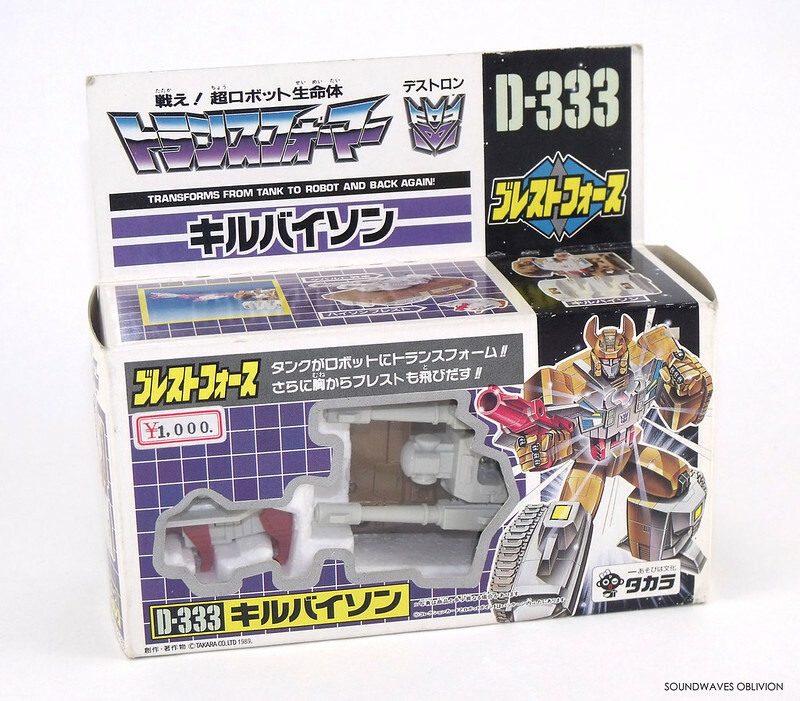 The main way to tell the difference is to check the inside of the right leg, if there is no "ToyCo Trademark" or "ToyCo Trademark 1983" stamp its not an official toy. The following is a list of all the ones I'm aware of, there could well be more out there. Cold, brutal scientific approach to war. Seeks to overthrow Megatron as leader of Decepticons because he believes logic says he would be better. As laser gun, can emit lethal beams of energy from anywhere on the electromagnetic spectrum: gamma rays, x-rays, light, infrared rays, radio waves, etc. Flies in laser gun or robot mode. High fuel use, but can be powered by nuclear sources. Often confounded by initiative, emotional thinking. The blood brother of Sigmatron, Betatron is equally as nasty in the way he can sneak up on earthlings in his everyday disguise of a motorised jeep. But watch out, he can quickly convert into two different motorised robots. Omegatron is probably the most evil mutant in the entire universe. He is the dark master of all other Convertors. His great powers enable him to convert into three different forms, each with many other variations. The first of his main forms is the motorised Omega Space-Tank which is a powerful fighting vehicle with rotating gun turret. The second form is the Omega Space Command-Centre made up of a rocket and track system around which the Omega Space-Tank patrols. 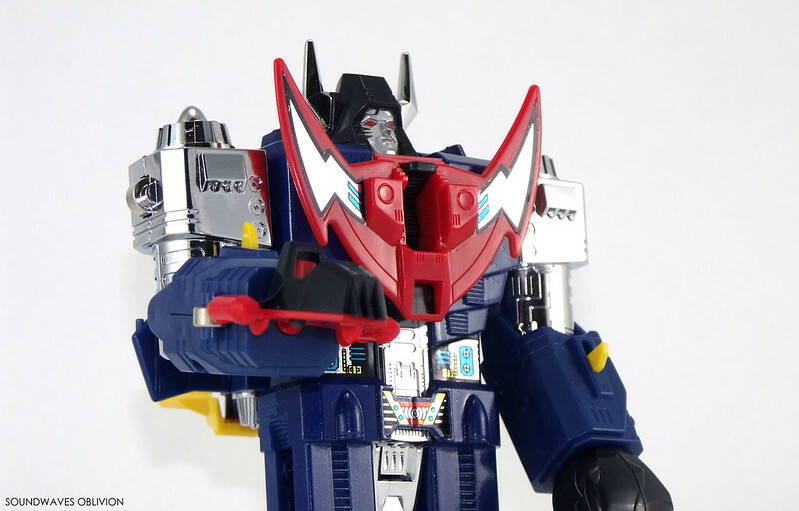 Finally, there is Omegatron himself, a fearsome motorised robot with glowing head, movable arms, and wings that can be changed to many different formations. 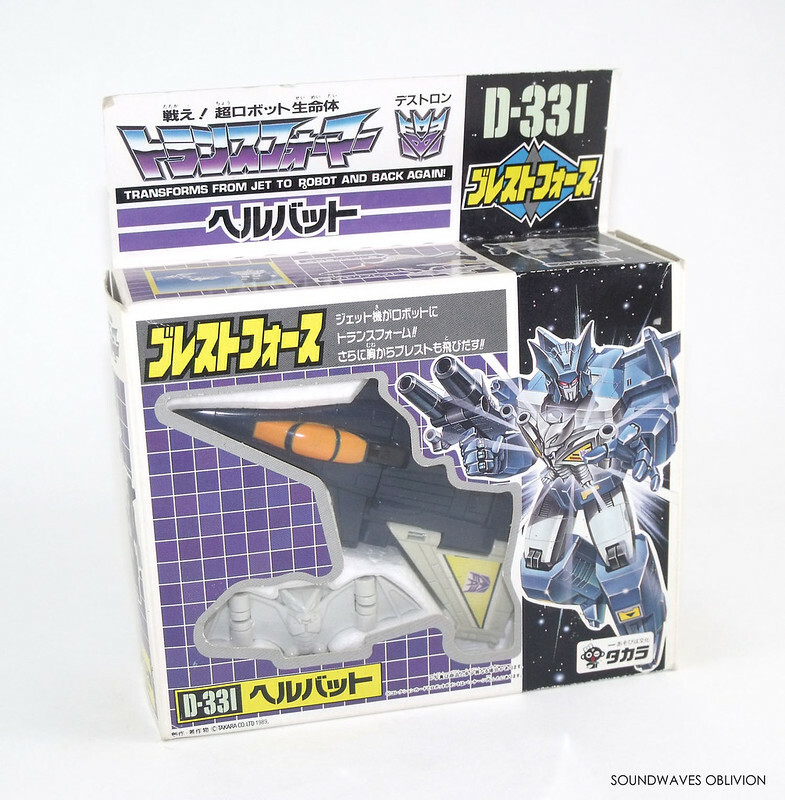 There were several new toys designed for a new Diaclone sub-line which were supposed to be released in 1985 but after Hasbros success with the Transformer line when it launched in 1984 Takara dropped the Diaclone line and Transformers debuted in Japan in 1985. Grandstand (also known as Grandstand Leisure Limited) was a known brand in the UK and New Zealand in the 1970s and 1980s which primarily imported and re-branded electronic games from third party manufacturers such as Tomy. Grandstand was owned by Hales Ltd based in Harrogate, Yorkshire in England; Hales Ltd was a subsidiary of Adam Leisure Group PLC. 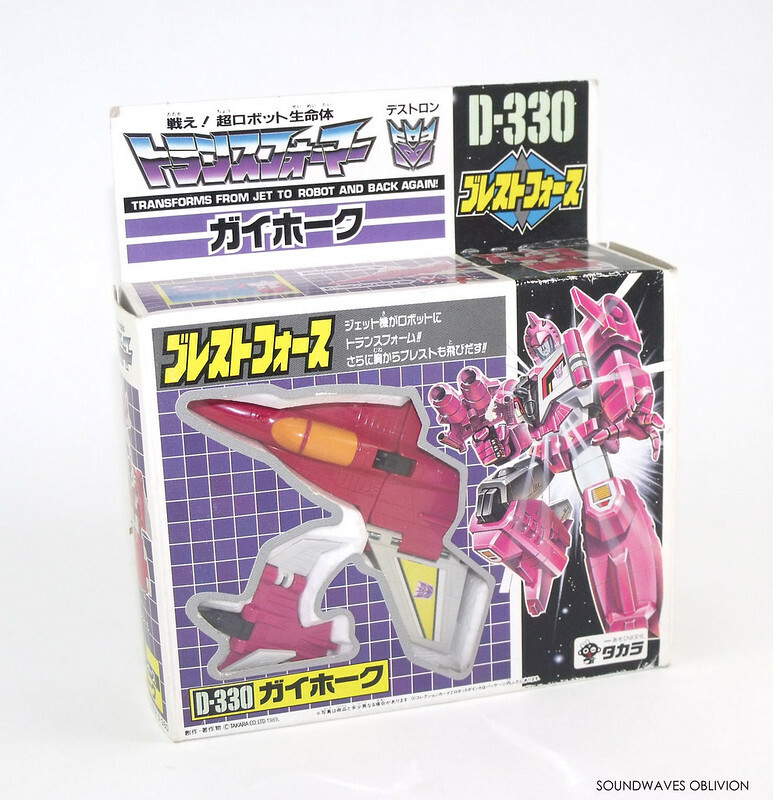 The Grandstand brand was bought out by Tiger Electronics which in turn was bought out by Hasbro in 1998. The Adam Leisure Group as a company have since been dissolved. Motto: "The least likely can be the most dangerous." Bumble is the smallest Cybertron warrior. His size however is an advantage as he's able to infiltrate where others are reluctant to go. Has exceptional vision enabling him to detect enemy sensors in hostile territory. Although he lacks the speed and strength, Bumble admires Commander Convoy and is always keen to make the effort in order to be recognised.